This new 2018 Chevrolet Camaro in Bridgman, MI answers drivers needs for a better ride. It comes loaded with SEATS, CLOTH FRONT SPORT BUCKET, TIRES, 245/50R18, BLACKWALL, ALL-SEASON, WHEELS, 18' (45.7 CM) SILVER-PAINTED ALUMINUM, EMISSIONS, FEDERAL REQUIREMENTS, SUMMIT WHITE, LT PREFERRED EQUIPMENT GROUP, JET BLACK, SEAT TRIM, TIRE INFLATION KIT, TRANSMISSION, 8-SPEED AUTOMATIC, REAR AXLE, 3.27 RATIO and AUDIO SYSTEM, CHEVROLET MYLINK RADIO WITH 7' DIAGONAL COLOR TOUCH-SCREEN, AM/FM STEREO WITH SEEK-AND-SCAN AND DIGITAL CLOCK. . The v4 Summit White car will feel quick and responsive. Interested in this car? 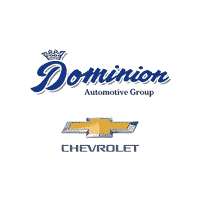 Visit Dominion Chevrolet to schedule a time to test drive the 2018 Chevrolet Camaro.